Homemade all natural lemon toilet fizzies in molds….DIY toilet cleaner. Makes them sparkle and shine! Fresh smell too. #cleaning #cleanerrecipes #cleaningrecipes #cleaningthetoilet #toiletfizzies #craftymorning – 1 freebie(s)? 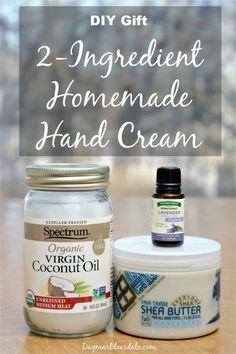 Homemade DIY hand cream recipe: I made my own hand cream, and it’s so easy! Only 2 ingredients, and it also makes such a nice gift. Dagmar’s Home, DagmarBleasdale.com #Christmas #gift #DIY #handcream #birthday #homemade #handmade #cream #recipe – 1 freebie(s)? Potato and Leek Soup – Reloaded – 1 freebie(s)? 4 Ingredient Key Lime Pie – 1 freebie(s)? Magnetic Door Spice Rack – 1 freebie(s)? 3.14 Layers of Banana Cream P13 – 1 freebie(s)?